YUI swaps her guitar for a piano. No, you're not dreaming. 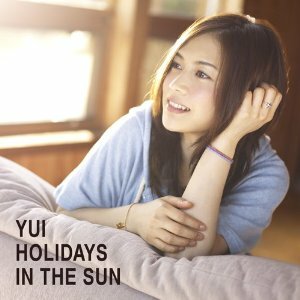 YUI is back with her newest single “To Mother!” The single’s release date is June 2, 2010. For this single, or for the a-side at least, YUI trades in her guitar for a fancy schmancy piano. What I liked about this single before I had even heard it is that YUI was willing to step outside her comfort zone and try something new. Interestingly enough, Angela Aki traded in her piano for a guitar for her most recent single, making it feel like she and YUI swapped identities. Both singles were a success in my eyes. Artists need to change it up every once in a while! To Mother is a touching piano ballad. From the start, I get very strong Sea vibes. Remember Sea? The song a lot of people liked even more than Again? It has that “graduation” or “going-away” feel that I’ve seen many people describe Sea as having. Its fitting because it is graduation season after all! The piano is beautiful, YUI sounds great, and the song sits at a comfortable three minutes and fifty seconds. This keeps it from having the cursed “ballad overkill” that has ruined many a song for me due to my impossibly short attention span. YUI’s gained a lot of fame for her b-sides that often rival her a-sides, and Tonight falls into that category perfectly. Every time I get a YUI single, I feel like I’m getting a double a-side even if that isn’t the case because her b-sides might as well be a-sides. She doesn’t disappoint. Tonight is like a flashback to Rolling Star. Its not quite as hard and the song suffers from a case of “Never Say Die syndrome” in that it is too short! Overall, a great piece. Placing it with To Mother was a little awkward to me, but who cares? Its YUI. She can do what she wants. As fans can predict by now, YUI has included an acoustic version of her most recent song, this time being GLORIA. The song doesn’t sound much different from the original. All I can hear is that the percussion is stripped away. The difference wasn’t astounding enough for me, but it’s a great inclusion for diehard fans of YUI. In Conclusion: YUI proved to me with this single that she can go outside her normal realm of music and still create something magnificent. I highly recommend this single.